Revenue model can be defined as the technique or method that is adopted by the e-commerce company in generating the business revenue from its website. (1) Sales revenue - Revenue generated by selling of goods, services, and merchandise information provided in the publisher's website. (2) Transaction fee - Commission earned by the company based on either the volume of successful transaction or fixed fee per transaction successful conducted. (3) Advertising fee - Fee that is charged by the web publisher company to advertiser, by letting the space in publisher's website to advertise the product in different form of advertisement. (4) Subscription fee - The users have to pay a fixed amount of fees for subscription of contents or services provided by the website. (5) Affiliate fee - Fee that earned by the company for referring customers to other websites. Now we will identify and compare the revenue model for Google, Amazon.com and eBay respectively. Google is the most widely-used web search engine in the world. 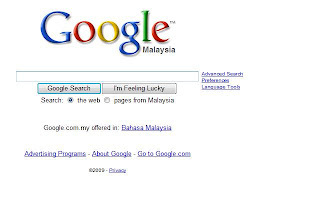 There are thousands million of internet users all around the world search information via Google search engine everyday. Besides that, it also provides a variety of free of charge internet services such as Blogger (web log), Google Mail (electronic mail) and etc. Google does not charge any fee on the internet services that it provided for example Gmail, G-talk, but how does it gain huge profit every year? In fact, its revenue model mainly from advertising fee related to its internet services. This consists of about 99 percent of overall revenue. Besides that, Google also earns revenues from sale of its advertising-free version of the internet services. The advertising fees of Google mainly consist of Google Adwords and Google Adsense. Google Adwords is the main revenue source of Google. It offers pay-per-click (PPC) advertising, and site-targeted advertising for both banner ads and text. Pay-per-click (PPC) advertising means that the advertisers need to pay to Google every time the advertisement received a click. The advertisement is designed to appear beside the search result pages of the Google seach engine in text form. It allows the advertisers to present advertisements to users when the users are searching for information related to what the advertisers have to offer. 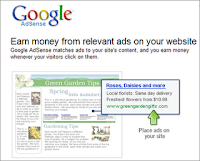 Google Adsense is another advertising method adopted by Google. 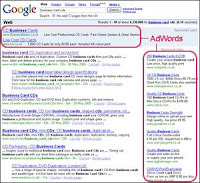 The difference of it is that the website owners (including blogs) can display Google advertisements on their websites and they are able to earn the revenue with Google every time the ads are clicked by visitors while Google Adwords only appear in Google website and the ads-clicked only earned by Google. Website owners of Google Adsense service have the opportunity to display the ads in their websites in various forms such as text, image and video. These ads can generate revenue on either a per-click or per-thousand-impressions basis. However, all the Google Adsense ads are administered by Google. Amazon.com is a marketplace where allows sellers to offer their good alongside Amazon's offerings. A website can use a combination of revenue models to generate revenue. Amazon.com is a prime example of the e-commerce model or e-tailing. Amazon generates revenue primarily by selling books, videos, electronics, and kitchen equipment on domestic and international website, such as Amazon Marketplace. However, Amazon is also a pioneer in affiliate partnership marketing. An Amazon partner website can display Amazon books ( and review etc.) directly on their website, and sends customers to the Amazon's website when the visitor is ready to buy it. In turn, Amazon pays a commission for the sale to the site owner. An e-commerce model is the most well known revenue stream where the website sells products or services online. Every e-commerce entity on the internet should have a business model that performs on the internet. E-Tailing (electronic retailing) is the selling of retail goods on the internet. E-tailing is synonymous with business-to-consumer (B2C) transaction. Besides sale of goods, Amazon.com also generates revenue through sale of web services, for example Amazon Simple Storage Services (S3), Amazon Elastic Compute (EC2) and etc. Amazon S3 is an online storage web service that provides unlimited storage through a simple web services interface. Amazon EC2 is a commercial web service that allows customers to rent computers on which to run their own computer applications. Advertising fee is also one of the revenue sources for Amazon.com. It offers a suite of advertising channels for advertisers including online products ads, online display advertising, and Clickriver ads, which ads promote services alongside with Amazon's products. EBay is an online aution and shopping website. It provides an electronic marketplace for people to buy amd sell various merchandise and servise worldwide. It has millions of transactions listed, bought and sold daily, the items sold including collectibes, decor, appliances, computers, furnishings, equipment, vehicles and others. 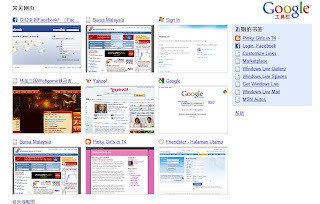 It has set up localized websites in about thirty countries including Malaysia. EBay generates revenue by of various fees nand commissions such as insertion fees, promotional fees and final value fees. To start with, eBay charged an insertion fees based on the openning price of the merchandise. -Insertion fees ~ when an item listed on eBay, this nonrefundable fee is charged. -Promotional fees ~ an extra fee that charged for additional listing options which can enhance the advertising and promotion of an item, such as highlighted or bold listings. -Final value fees ~ the commissions that charged to the seller at the end of the auction. Besides that, eBay earns transaction fee from owning paypal, an online paying service system for users to buy items online more conveniently. Ebay also gains sales from the service of listing customer's product to be sold to other users as well as some advertisement fee. Ebay's revenue increases with seller surplus. Its liquidity promotes a lock in, which keeping current customers happy and acquires new customers. In conclusion, Goodle, Amazon.com and eBay have proved that every e-commerce comany would adopt different method of revenue models in its own way. Gogle relies mostly on advertising fees and small portion of sales. Amazon.com gains mostly on sale of products and services and relatively small amount in advertising and transaction fees while eBay mainly on transaction fees. In this 21st century, one of the most popular activities to do through the internet is online shopping. Why it say so? This is because it is easy and convenient. You can shop anytime, anywhere that you want and u can also never have to change out of your pajamas if u don't want to do so. All of the product u can possibly imagine or can't imagine are available in the internet. So, this popular activities is called as Electronic Commerce. Electronic commerce, commonly known as e-commerce, consists of the buying and selling of product and services over electronic system such as Internet and other computer networks. For the broader definition, not just the buying and selling of goods and services, but also servicing customers, collaborating with business partners and conducting electronic transaction within an organization. History of e-commerce dates back to the invention of very old notion of 'sell and buy', electricity, cables, computers, modems, and the internet. 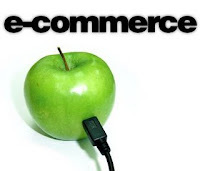 E-commerce became possible in year 1991 when the internet was opened to commercial use. Since that date, thousand of businesses have taken up residence at web sites. Primarily, e-commerce meant the facilitation of commercial transactions electronically, using technology such as Electronic data Interchange (EDI) and Electronic Funds Transfer (EFT). Both of them were introduced in the late 1970s. It gave an opportunity for users to exchange business information and do electronic transactions. Besides that, it also allowed business companies and organizations to send commercial documents electronically. The growth and acceptance of credit cards, automated teller machines (ATM) and telephone banking in the 1980s were also forms of e-commerce. Although the internet began popular among the worldwide in year 1994, it took approximately 5 years to develop the security protocols and DSL which allowed rapid access and connection to the internet. Since then people began to associate a word 'e-commerce' with the ability of purchasing various types of goods through the internet using secure protocols and electronic payment services. Since 1995, many innovative applications ranging from direct online sales to e-learning experiences had been developed. Almost every existing organization in the world has their own website. The liberalization of the telecommunications sector and innovations such as optic fiber and DSL which has helped to expand the volume and capacity of communications that helped in the process of rapid growth. As a result, the barriers to entry and engage in e-commerce have fallen rapidly. * 1984- Electronic Data Interchange or EDI was standardized through ASCX12. This guaranteed that companies would be able to complete transactions with one another reliably. * 1992- Compuserve offers online retail products to its customers. This gives people the first chance to buy things off their computer. * 1994- Netscape arrived. Providing users a simple browser to surf the internet and a safe online transaction technology called as Secure Sockets Layer. * 1995- Amazon and Ebay were the 1st international companies that implemented electronic transactions. * 1998- DSL,or Digital Subscriber Line, provides fast, always-on internet service to subscribers across California. This prompts people to spend more time and money to online. * 2000- The US government exended the moratorium on internet taxes until at least 2005. Google is now becoming more popular and it has evolved to become an essential part of our life. Almost everyone in the world knows about Google. It not only serve as a search engine, but also provides a lots of web services such as GMail, Google Desktop, Blogger, Picasa, Google Talk, Google Mobile and Google Map. Google is changing everything. When it is entered into the search engine market, it has change the face of the market. Obviously, it has become an undisputed king of search engines. This can be best explained by Google that has currently control over 60% of search engine market. Effectiveness is one of the reasons that made Google successful in control the major of search engine market. For instance, it use less than 60 seconds to search almost 100 million websites. I guess most of the time spent by residents who staying in Kuala Lumpur is travelling. This is because the route in KL is quite confusion. Therefore, with the help of Google Maps, we are able to search for the destination and the most appropriate route to that particular destination easily. Google Maps is one of the web service provide high resolution satellite image for the cities in all the countries. 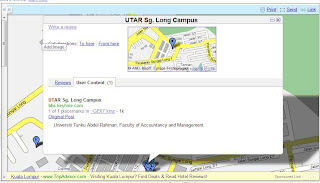 With the single type of name of the place where user want to search, Google Maps provide ability to see where the business located and what's near by. Besides, it also allows users to get contact information, price and hours take to travel from one place to another. Google Maps has created convenient for all the users. Recently, Google has invented a modern platform for web page called Chrome Browser where the links that previously accessed will be displayed on the search page. It is user-friendly application and quite stable as Google has keeping each tab in an isolated “sandbox” and able to prevent from crashing with another. It has also improved the speed and responsiveness across the board. In conclusion, Google not only invent application and web services that is user-friendly, but also drive innovation on the web. AirAsia airline is the second Malaysian National Airline. It was established in 1993 and started operation on 18 Nov 1996. But Air Asia just expanding rapidly from 2001. Their vision is to be the largest low cost airline in Asia so that everyone can fly with AirAsia. AirAsia is the first airline using E-commerce which the travellers can online buying E-ticket and first airline in the region implement fully ticketless travel and unassigned seats. Since 5 Feb 2009, AirAsia is started implement allocated seatings to all the traveller. On 12 Nov 2008 AirAsia is doing claimed to be the first airline in the world to abolish fuel surcharges. As a result, AirAsia had flown 55million cumulative passenger. 1. AirAsia is providing attractive ticket price by focusing on online booking. They sell the ticket through their own counter or through their website(airasia.com). However, only online booking service provides its passengers a chance to buy more cheaper ticket. 2. AirAsia website is providing the lastest information regarding promotion compare to others media such as radio, newspaper, email and etc. This is because the catalog is more easy to modified than others media. Thus, travellers are able to get lastest information about promotion of AirAsia so that they can decide quickly and buy cheaper ticket. 3. AirAsia.com also provide other services to the travellers through online. For instance, travellers can book Tune Hotel for 5star sleeping experience at 1star price or get other hotels' information. Besides, travellers can travel from KL Sentral to Low Cost Carrier Terminal (LCCT) or vice versa by purchasing low-cost air bus ticket online and meals are selling lower price for those who booked ticket online. 4. It is easy to access website of airasia.com because it used the user-friendly application. The travellers easy and able to search the information from the webpage especially the information for holiday or know more about AirAsia. As a conclusion, the main reason where AirAsia become one of the most popular airline in the world is due to the adoption of e-commerce method--AirAsia.com.